Elena Carrion is on the Eventing & Dressage Team at University of Virginia and was interviewed by the local University news station. Please note: you may not be able to view the video depending on your Facebook connections. You can click here for a direct link. Callia Englund and Latest Craze. Photo by Lexie Priest. We like to think that what we’re doing here at EN is making a little bit of a difference in the world, both for horses and the humans who love them. Our “Weekly OTTB Wishlist” series, presented by Cosequin, has been running since 2014, and it’s one of our personal favorites. Each week we shine the spotlight on three available OTTBs who are in the market for a new job with fingers crossed that they might catch the eye of an eventer. Every now and again we catch wind that our little matchmaking service has paid off. 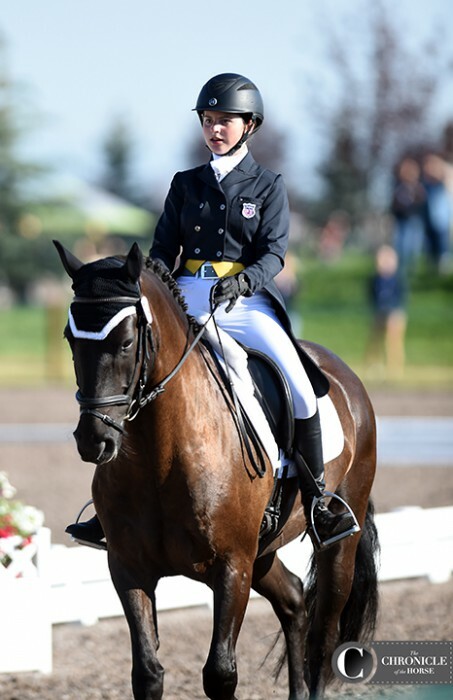 The latest success story comes from Callia Englund, a Young Rider from Enumclaw, Washington, who blogged about her journey to the 2018 North American Youth Championships for EN last year. Callia put in a lot of hard work to represent Area VII in the CCIJ1* with her horse, Xyder, and it paid off in a team silver medal. Read the full article on Eventing Nation. The following changes have been made by the USEF. In 2019, Athlete/horse combinations wishing to compete on an NAYC-J team must have earned one (1) Minimum Eligibility Requirement (MER) at either a CCI2*-S (formerly known as a CIC1*) OR a CCI2*-L (formerly known as a CCI1*). Additionally, both the athlete and the horse, must have achieved 3 MERs at the Preliminary level or higher plus an additional MER at the Preliminary level or higher with no more than twenty (20) jumping penalties on cross country. Riders may ride in both the 1* and 2* divisions if applicable and additional individuals for an Area may be invited in proportion to the total number of entries.The format and qualification for the Young Rider CIC2* will remain unchanged. The application deadline of March 1 will remain the same as well. If you are competing at the FEI levels, you will want to become familiar with the new categorizations beginning in 2019. Photo courtesy of MGO Photography. For me, 2018 was a year to remember. There were more ups, downs and everything in between than I have ever experienced, and I don’t regret a single minute of it. 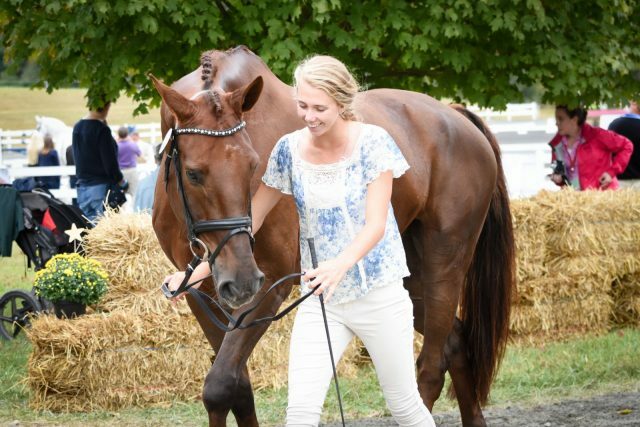 Congratulations to our Area VII Young Rider, Madelyn Floyd, who is on TOP of the National Jr. Prelim Leaderboard! She is tied with Sami Crandell of Area I with 58 points. Olivia Miller and her team at the Colorado Springs Training Camp. My experience at the Colorado Springs Olympic Training Center was truly an opportunity of a lifetime. Though it was the hardest 3 days of my life and I would find myself sitting in bed every night thinking to myself “what did I get myself into”, coming out of the camp I truly felt that I had learned more about myself and how to work as a team than ever before. When I saw the flyer about the training camp at the young rider auction, I knew I would learn a couple of things and get tips on the fundamentals of riding. Little did I know it would change my whole outlook on life and how I should go about handling show nerves and keeping myself healthy. From flipping tires in the snow to climbing up the incline I felt invincible. The whole camp was based around bettering your best and not stopping until your limbs give out. We took a basic fitness test on the first day and on the third day and almost doubled the original score. Not because I was in better shape (because to be honest I could barely walk on day two) it was because I learned that you haven't done your best until you can't go any more. Pain is this idea in our head telling us to stop because it's uncomfortable but if we don't make things uncomfortable then how are we supposed to get better. I remember climbing up the incline and my buddy was ready to quit and the only words I could force out of my mouth was “just one more step” and 3,000 steps later we made it to the top together. 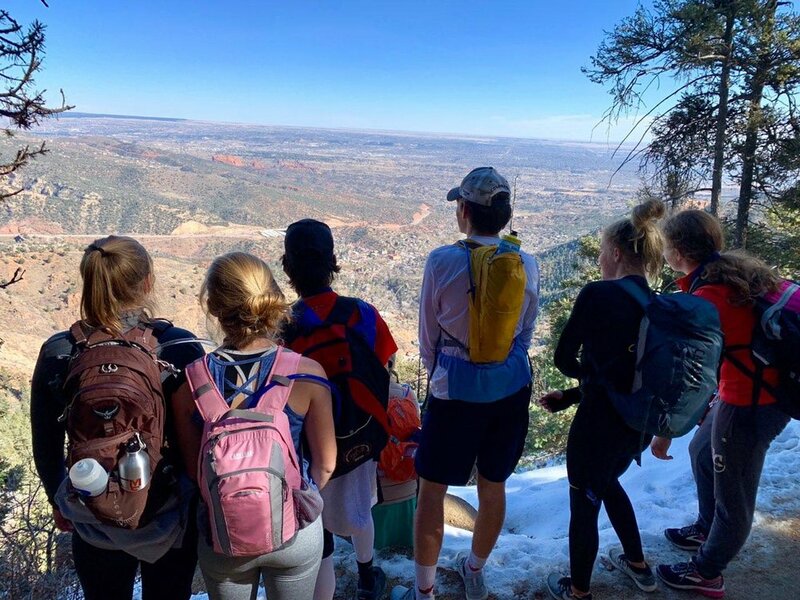 Once we made it back to the USOTC we were all sitting in a circle saying something we are thankful for and the person that climbed the incline with me looks at me and says “I’m thankful for Olivia because she believed in me when I didn't and I don't think I could have done it without her”. As tears come to my eyes and not a single word can manage to escape my mouth, I gave her a hug because it was at that very second that it all clicked. The only thing telling her to keep going was me and the only thing telling me to keep going was her and we staggered are way to the top together and I wouldn't trade that experience for anything. That's not something you can teach in a class that's something you have to experience for yourself and you can't really put a price on that. Congratulations to our new Area VII Young Rider Coordinator, Barb Jensen! My goals for the program are to really keep the enthusiasm going that has built up over the last few years. I want there to be something for every level of rider. This is a development program from Beginner Novice to NAYC with a lot of fun and education intertwined. It is exciting that we have some top notch trainers and coaches in Area VII who devote their time and are committed to developing our YRs into being the best riders in the country. I hope to encourage all parents and young riders to give back to the program by jumping in and helping just as I did. No role is too small and any volunteer time is valuable. Please reach out to me with ideas or help at any time. Thank you for your support. Sophie Click and Hot Wheels. Photo by Shelby Allen. Imagine competing at the top level with multiple horses, traveling from coast to coast, and managing a business and a team of horses, all while keeping up a demanding college schedule. Sound tough? Well, that is exactly what 19-year-old two-star rider Sophie Click does and more as she strives to not only represent the U.S. on an international stage but also earn that all-important college degree. Read whole story on the USEA website. A shout out to several of our Area VII Young Riders that have been featured in USEA Eventing Magazine. Featured in July/August Edition is our NAYC Team for winning the Team Silver Medal: Harper Click, Callia Drewien Englund, and Isabella Gunningham. Madelyn Floyd and Clementine. USEA/Leslie Mintz Photo. Read her story on Eventing Nation. Congratulations to Young Rider, Alina Patterson and her beautiful Freddy for winning The Charles Owen Technical Merit Award this weekend at Rebecca! This award, given to a Junior or Amateur rider entered in the Training level divisions, provides incentives for riders who demonstrate safe and appropriate cross-country technique, and educates riders and trainers as to what constitutes safe riding across country. She received a Charles Owen Body Protector and helmet bag. Callia Englund and Xyder at the 2018 North American Youth Championships at Rebecca Farm. USEA/Leslie Mintz Photo. Four years ago I was just a 12-year-old girl with big dreams. I had done schooling shows on my pony who didn’t really like jumping so it was time to buy my first event horse. We found Xyder, a 4-year-old, 15.1 hand, inexperienced, Cheval Canadien (a breed we had never heard of), gelding located in Yoncolla, Oregon at Storybook Horse Farm. Callia Englund and Xyder are representing the combined Area IV and VII team here at the Adequan FEI North American Youth Championships. All photos by Lisa Slade. When Callia Englund got Xyder four years ago, she was 12, and the horse was 4. The pair did their first beginner novice together, the first for both of them. Then they just kept going up the levels—and going, and going. 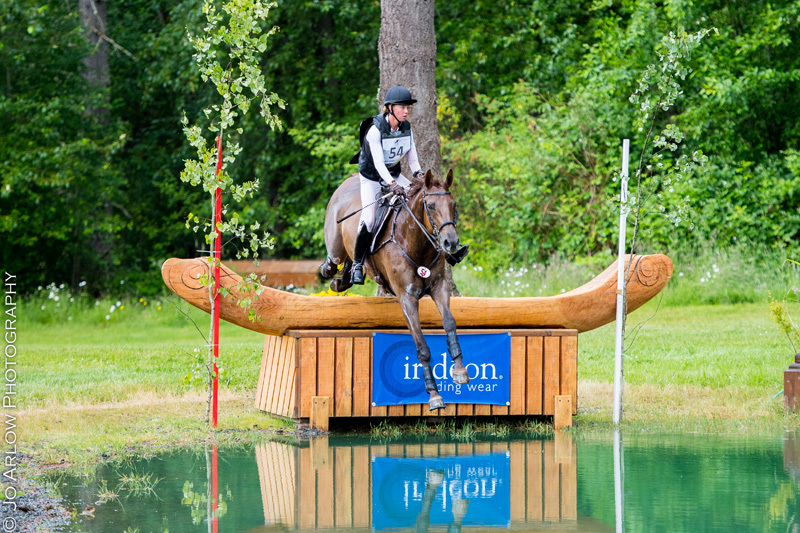 After they successfully contested their first preliminary last September, Englund and her trainer, Anni Grandia, started thinking, just a little bit, about aiming for this year’s Adequan FEI North American Youth Championships at Rebecca Farm. When you see Xyder, who’s a Cheval Canadian, go, you might notice he doesn’t possess the build of a traditional event horse. He stands at 15.1 hands, and he’s earned the occasional barn nickname of “Fat Boy.” But it’s never bothered him or his rider. “He’s always been a super honest jumper,” said Englund. “We’ve had some difficulties in dressage because of his build and stuff, but going up the levels some people had a lot of doubts because of his height and build, but he’s never shown any difficulty. He’s always liked it since the beginning. Congratulations to our Area VII NAJC 1*Team! Callia Englund and Xyder, Isabella Gunningham and Calicool, and Harper Click and Rubia! These three talented pairs worked their hind ends off to qualify to represent Area VII in this year’s NAYC 1* at Rebecca Farms! Commitment, perseverance, and a little luck combined with their super ponies, helped these three combinations get the job done! Way to represent ladies! We are very proud of you and look forward to cheering you on! Sophie Click and Fernhill Rising rode with confidence to win the Aspen Farms CIC**. Photo by Jo Arlow Photography. "Sophie Click is used to standing out in a crowd. When you ride a Paint-Thoroughbred cross with plenty of chrome, being noticed is a fact of life. Hot Wheels has been Click’s steadfast partner through the levels since they joined forces in 2016, but when “Wheels” sustained a soft tissue injury last winter, Click’s mother, Amy Click, put out feelers for a new ride. They found Fernhill Rising (Cyrano—Tullys Eagles Wings, Coronea Eagle) in Alexandra Green’s barn. Madelyn Floyd and Tini. Photo by Alison Green for Shannon Brinkman Photo. I wish I had known how true this was 2.5 months ago, and I wanted to share that story with you. On February 7th, I left my home for the east coast, with a spunky mare, a trailer full of clothes, and a heart full of dreams. I was going to attempt to qualify for the NAJYRC CCI1* this coming year, and I needed one more preliminary run plus a clear CCI1* run. I rode in the backseat of my friend’s Ram, quietly looking out the dark window at the life I was about to put on hold for the next 2.5 months. First Low Score Awards, YR Social, and YR Booth & Gear! Our first Low-Score awards will be given out at the May 25-27 Equestrian Institute Horse Trials. You are automatically entered! What the h#%! is that jump? And WHY is it here? Pick up some Young Rider gear! Kim Oka-Myers (aka Madelyn's mom) will be selling YR Gear at the YR Booth all weekend long. And speaking of the booth, we always need volunteers to work! Please stop by the booth to sign up for an hour or two! The Young Rider program aims to encourage members (riders 21 and younger) to become involved in the sport of Eventing and continue that involvement into their adult lives. There are two parts to the Young Rider program: Young Rider Advancement Program (YRAP) and North American Junior Young Rider Championships (NAJYRC). Both of these programs functions in cooperation with the other with oversight provided by the Area Young Rider Coordinator. YRAP was started by USEA in order to provide Novice through Preliminary level young riders a structured developmental process that gives riders the education and skills they need to progress through the levels and potentially into the ranks of NAJYRC. The goal of YRAP is to closely parallel the structure of the NAJYRC program and the developmental programs in order to familiarize riders with the format from the beginning. In order to accomplish this goal and provide additional educational competitive experiences, Area VII holds a Team Challenge Event in August in conjunction with the Caber Farms Horse Trials. The team selection process mimics that of requirements for the NAJYRC selection process. Young Riders are required to submit letters of intent and list qualifications qualify at horse trials, attend clinics and the YRAP summer camp. At the YRAP summer camp, team selections are made for the Team Challenge Event. 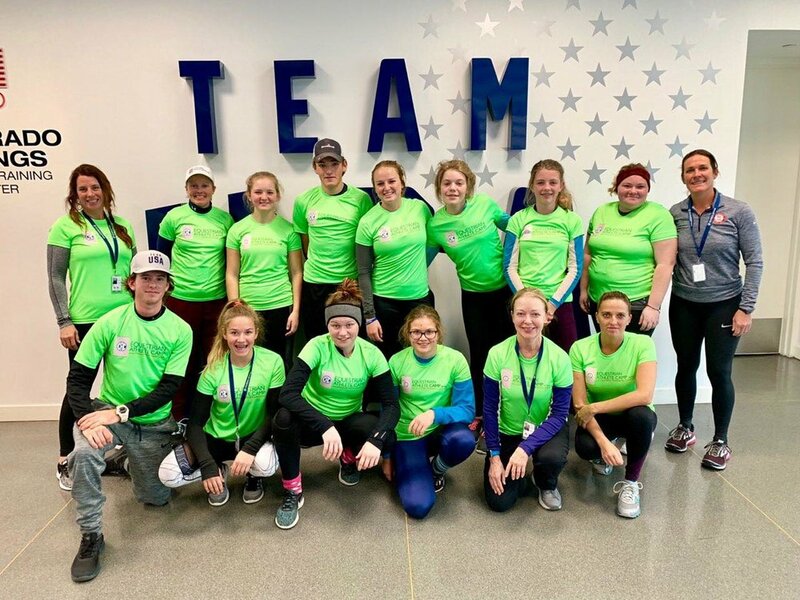 The Team Challenge Event provides Young Riders the opportunity to ride as a member of a team, participate in a mock “jog” in front of judges and work together with a goal of coming out on top. Area VII uses the Team Challenge competition as a training ground for future NAJYRC candidates. Rule Refresher: Am I Qualified? While 2018 season is getting underway, many competitors are getting ready to leave the start box for the first time this year while others are still planning out their goals for the season. Part of the goal-planning process is making sure you achieve the necessary qualifications to achieve those goals, so we’re taking a look at Appendix 3, Participation in Horse Trials, in this rule refresher. It defines the requirements for different divisions and the qualifications necessary for each level. Dressage Test: not more than 67 45 penalty points (or 55%). Not more than 75 seconds exceeding the optimum time in the Cross Country Test for one, two and three star level Competitions and 100 seconds in the case of four star level Competitions. NOTE: All MERs obtained in previous years will be counted according to the rules in place at that time. Sophie Click and Fernhill Rising at Fair Hill. Photo by Shelby Allen. 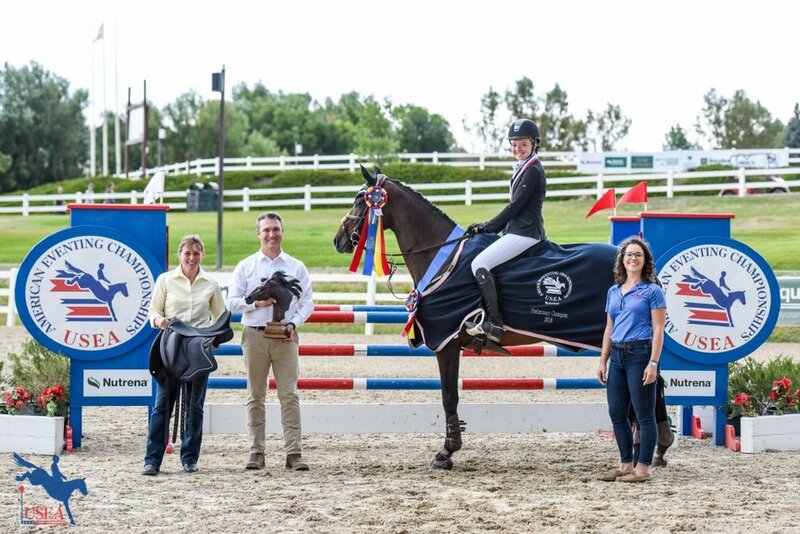 2017 was a year of coast-to-coast success for 18-year-old Sophie Click as she earned the title of highest placed Young Rider in both the Fair Hill International CCI2* and Galway Downs International CCI2* on opposite ends of the country. For this achievement, she was kindly rewarded with a spot in the 2018 Eventing 25 Emerging Athlete Program. Max Corcoran has been grooming at the highest level of the sport for some of the world's top riders for nearly 20 years. She worked for the O'Connor Event Team for 11 years and has been to numerous Olympic Games, World Championships, Pan American Games, and many CCIs across the United States and Europe. Now a freelancer, Corcoran travels around the world as a groom and also teaches horsemanship clinics for the USEA and USEF Developing Rider Programs. Corcoran gave a presentation at the 2017 USEA Annual Meeting and Convention with her tips, tricks, and advice on how to make good decisions when it comes to taking care of your horse.